Alone is an American reality television series on History. The first, second and fourth seasons were filmed on northern Vancouver Island, British Columbia, and the third near Nahuel Huapi National Park in Patagonia, Argentina. It follows the self-documented daily struggles of 10 individuals (7 paired teams in season 4) as they survive in the wilderness for as long as possible using a limited amount of survival equipment. With the exception of medical check-ins, the participants are isolated from each other and all other humans. They may "tap out" at any time, or be removed due to failing a medical check-in. The contestant (or team in Season 4) who remains the longest wins a grand prize of $500,000. The series premiered on June 18, 2015. On August 19, before the finale of season 1, it was announced that the series had been renewed for a second season, which would begin production in the fall of 2015 on Vancouver Island, Canada. Season 2 premiered on April 21, 2016. Season 3 was filmed in the second quarter of 2016 in Patagonia, Argentina and premiered on December 8. One day before the season 3 premiere, History announced that casting had begun for season 4. In January 2017, a Danish version of the series premiered with the name Alone in the Wilderness (Danish: Alene i vildmarken) on DR3. It featured ten contestants and was filmed in northern Norway. Participants chose 12 items from a list of 18. In the fall of 2017, a Norwegian version aired with 10 contestants spread around a lake with fish. It was near the tree line, so the few, small, mostly birch trees left few land resources. The last contestant tapped out after a little more than a month. The fifth season premiered on June 7, 2018. A sixth season is scheduled to premiere on June 6, 2019. Contestants are dropped off in remote areas of Northern Vancouver Island (seasons 1-2,4), Patagonia (season 3) and Northern Mongolia (season 5), far enough apart to ensure that they will not come in contact with one another. The process begins in mid to late autumn; this adds time pressure to the survival experience as the approaching winter causes temperatures to drop and food to become scarce. Although terrains may differ in each contestant's location, the drop-off zones are assessed in advance to ensure a similar distribution of local resources is available to each contestant. Contestants each select 10 items of survival gear from a pre-approved list of 40, and are issued a kit of standard equipment, clothing and first aid/emergency supplies. They are also given a set of cameras to document their daily experiences and emotions. Attempting to live in the wild for as long as possible, the contestants must find food, build shelters, and endure extreme isolation and psychological distress. Contestants who wish to withdraw from the competition for any reason (referred to as "tapping out") may signal a rescue crew using a provided satellite telephone. In addition, medical professionals conduct periodic health checks on the contestants and may, at their discretion, disqualify and evacuate anyone they feel is unable to continue participating safely. The last remaining contestant wins a $500,000 cash prize. Contestants are warned that the show might last for up to a year. Season 4 was also filmed in Northern Vancouver Island but included a team dynamic. Fourteen contestants, consisting of seven family-member pairs, were individually dropped off in remote areas of Northern Vancouver Island. The two members of each team chose 10 items of survival gear to be equally divided between them. The team chose one member to be taken to a campsite; the other began approximately 10 mi (16.09 km) away and was required to hike to the site, using only a compass and bearing to find the way. Either member may tap out at any time, but doing so removed both of them from the competition; in addition, if either member of a team was medically evacuated, both were disqualified. The last remaining team won the $500,000 prize. Season 5 contestants were selected from non-winning contestants from Seasons 1 through 4. The rules were otherwise similar to Seasons 1 through 3. The first season premiered on June 18, 2015. It was won by Alan Kay, who lost over 60 pounds during the course of the season. His staple foods were limpets and seaweed. He also consumed mussels, crab, fish and slugs. Lucas Miller enjoyed his time on the show and was selected based on his work as a wilderness therapist. His most difficult experience with the show was making honest confessions to the camera. Sam Larson described his time on the show as "playing in the woods". He set a goal for himself to last 50 days. After he reached his goal, a large storm hit the island, which Larson described as being larger than any he had seen and prompting his decision to leave the island. Larson said that the loneliness and solitude took the most time to adjust to, and that his preparation for the show mostly consisted of mental preparation. The season was shot in Quatsino Territory, located near Port Hardy, British Columbia. Quatsino is a small hamlet of 91 people located on Quatsino Sound in Northern Vancouver Island, Canada, only accessible by boat or float plane. Its nearest neighbour is Coal Harbour, to the east, about 20 minutes away by boat, and Port Alice, to the south, about 40 minutes away by boat. 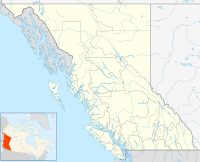 The largest town in the region, Port Hardy, is located about an hour northeast by boat and vehicle. Season 2 began on April 21, 2016. The season had 13 one-hour episodes. The second season was also set on Vancouver Island, in Quatsino Territory, located near Port Hardy, British Columbia. The third season premiered on December 8, 2016. The winner, Zachary Fowler, had lost 70 lbs (a third of his starting body weight) before the end of his stay. The person who stayed the second-longest, Carleigh Fairchild, was pulled out because, at 101 lbs, she had lost nearly 30% of her starting body weight and had a BMI of 16.8. Participants were automatically "pulled" at a BMI of 17 or less. The fourth longest stayer, Dave Nessia, was pulled out when, due to inadequate caloric intake, his systolic pressure barely exceeded his diastolic pressure (80/60 mmHg), putting him in danger of death due to inadequate perfusion of the internal organs. 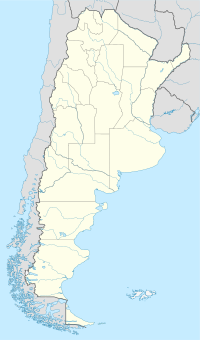 The third season was set in Patagonia, Argentina, in South America. The contestants were spread across multiple lakes in the foothills of the Andes mountain range. Unlike in seasons 1 and 2, which were located on the Pacific Ocean, season 3's food resources were mostly limited to brook and rainbow trout, forage, small birds, and the possibility of wild boar. Contestants also were at a disadvantage because they had no access to the flotsam and jetsam that washes up on the Pacific Coast. They also had no salt source. The weather in Patagonia is comparable to that of Vancouver Island, with rainfall averaging 78 inches a year. However, unlike Vancouver Island, snowfall is extremely common in the winter. Predators in Patagonia include wild boar and puma. Officially titled "Alone: Lost & Found", the fourth season premiered on June 8, 2017. The fourth season was again set on Vancouver Island, in Quatsino Territory, located near Port Hardy, British Columbia. Officially titled "Alone: Redemption", Season 5 premiered on June 14, 2018. The 10 contestants are non-winners selected from the previous 4 seasons of Alone. The fifth season was set in Northern Mongolia in Asia. The series was filmed in Khonin Nuga near the city of Züünkharaa, Selenge aimag. "Khonin Nuga" is a valley located close to the Khentii Mountains of Northern Mongolia, one of the country's unique and still largely untouched places. Season 6 is scheduled to premiere on June 6, 2019. Ten contestants will participate, attempting to survive in the Arctic. ^ Patrick Hipes. "History's 'Alone' Survivalist Series Renewed For Season 2". Deadline. Retrieved 16 April 2016. ^ "Shows A-Z - alone on history". The Futon Critic. Retrieved May 19, 2018. ^ a b c "Alone Full Episodes, Video & More | HISTORY". history.com. Retrieved 2016-04-19. ^ "History Channel Looks for "Alone" Contestants Season 2 - LiveOutdoors". LiveOutdoors. Retrieved 2016-04-19. ^ Lisa de Moraes. "History Leaves 10 Survivalists 'Alone' For Summer". Deadline. Retrieved 16 April 2016. ^ "Meet the Man Who Lost 60 Lbs. in the Wild, Eating 'Slugs Sporadically'". PEOPLE.com. Retrieved 2016-04-19. ^ "Maui resident Lucas Miller talks about his experience on The History Channel's reality show 'Alone'". MauiTime. Retrieved 2016-04-19. ^ photo, Abby Korinek | Courtesy. "Lincoln survivalist talks about experience on History Channel's 'Alone'". Daily Nebraskan. Retrieved 2016-04-19. ^ Mechele R. Dillard. "ALONE Winner Alan Kay Speaks One-on-One with TVRuckus!". TVRuckus. Retrieved April 16, 2016. ^ "Who Won History Channel's 'Alone' Survival Competition? (Spoiler) - DaysTune". DaysTune. Retrieved April 16, 2016. ^ Mechele R. Dillard. "ALONE on History: Alan & Sam Remain on Day 43, Mitch & Lucas Tap Out". TVRuckus. Retrieved April 16, 2016. ^ Mechele R. Dillard. "ALONE Recap: Brant McGee Heads Back to Albemarle, NC After Only Six Days". TVRuckus. Retrieved April 16, 2016. ^ a b Mechele R. Dillard. "ALONE Cast Dwindling Fast as 'Hey, Bear!' Does Not Work for Wayne Russell". TVRuckus. Retrieved April 16, 2016. ^ Mechele R. Dillard. "ALONE Recap: Spirits Falling Fast Among Eight Who Remain on Vancouver Island". TVRuckus. Retrieved April 16, 2016. ^ Mechele R. Dillard. "ALONE Recap: Josh Chavez First to Tap-Out, Nine 'Survivalists' Remain on Vancouver Island". TVRuckus. Retrieved April 16, 2016. ^ "History Channel's Alone Season 2 Begins April". Yibada. 2016-03-27. Retrieved 2016-04-19. ^ a b c d e f g h i j "Alone - Bios". Retrieved December 16, 2016. ^ "Alone Listings". The Futon Critic. December 9, 2016. Retrieved December 9, 2016. ^ "Alone Season 3 by Jim Thode". PBase. 12 Dec 2016. Retrieved 18 June 2017. ^ a b c d e f g h i j "Alone Cast". Retrieved December 16, 2016. ^ "Alone Listings". The Futon Critic. Retrieved June 8, 2017. ^ a b c d e f g "Alone Cast". Retrieved June 10, 2017. ^ "New season of 'Alone' TV series set in Mongolia". Retrieved 26 May 2018. ^ a b c d e f g h i j "Alone Cast". Retrieved May 25, 2018.